Alp Ocal is a business leader and digital strategist. His field of expertise includes: startup management, business development, sales, marketing, IT, Gaming, and E-commerce. He is the Co-Founder of Alegra Digital. He worked as a Director at Tvyo, Manager at Mynet, and Director at Sinema.com. Alp also worked in Tikle, Smile Holding, and PayPoint. 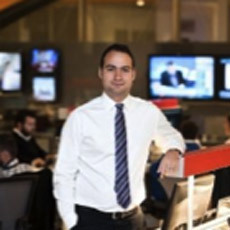 He holds a Bachelor degree in Computer Engineering from Bahcesehir University.